Due to the recent news regarding Prosperity Automated System (a.k.a. PAS) and its possibly being shut down as a pyramid scheme, I've decided to post some information explaining what pyramid schemes and Ponzi schemes really are - and how to avoid being scammed by them. 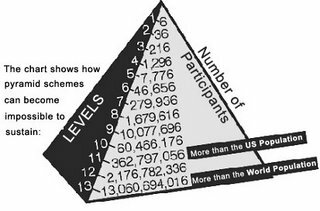 A pyramid scheme is a non-sustainable business model that involves the exchange of money primarily for enrolling other people into the scheme - usually without any product or service being delivered. Pyramid schemes, which are also referred to as franchise fraud, or chain referral schemes, are marketing and investment frauds in which an individual is offered a distributorship or franchise to market a particular product. The real profit is earned NOT by the sale of the product, but by the sale of NEW distributorships. Emphasis on selling distributorships or franchises, rather than the product or service, eventually leads to a point where the supply of potential investors is exhausted and the pyramid collapses, causing everyone to lose their money. At the heart of each pyramid scheme there's typically a representation that new participants can recoup their original investments by introducing two or more prospects to make the same investment. Unfortunately, promoters fail to tell prospective participants that this is mathematically impossible for everyone to achieve since some participants drop out, while others recoup their original investments, and then drop out. You must make an investment to get the right to recruit. When you recruit another person into the program, you receive what the law calls "consideration". That usually means money, but can be anything else of value. Your new recruits must make an investment to get the right to recruit, and they also receive something of value for getting other people to join. Be wary of "business opportunities" to invest your money in franchises, distributorships or investments that require you to bring in subsequent investors to increase your profit or recoup your initial investment. Independently verify the legitimacy of any company or business opportunity before you invest your money! A Ponzi scheme is essentially an investment fraud wherein the operator promises high financial returns or dividends that are not available through traditional investments. Instead of investing victims' funds, the operator pays "dividends" to initial investors using the principle amounts "invested" by subsequent investors. 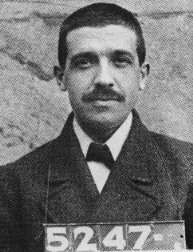 This type of scheme is named after Charles Ponzi of Boston, Massachusetts. Ponzi operated an extremely attractive investment scheme in which he guaranteed investors a 50 percent return on their investment in postal coupons. 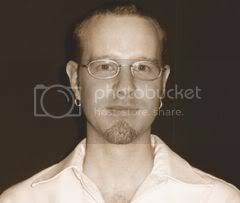 Although he was able to pay his initial investors, the scheme ultimately dissolved when he was unable to pay investors who entered the scheme later. Thanks Aaron I was also sorta confused. I get it now. Little by little I'm slowly becoming an expert. Hooray! Very helpful Aaron. I'll put a link to this on my business forum. The more people know this information the less chance there is of them losing their money in a scam. And that's important to me.